All in a hard day’s work. You should not use taking your family hostage as an argument when making a case for your humanity. 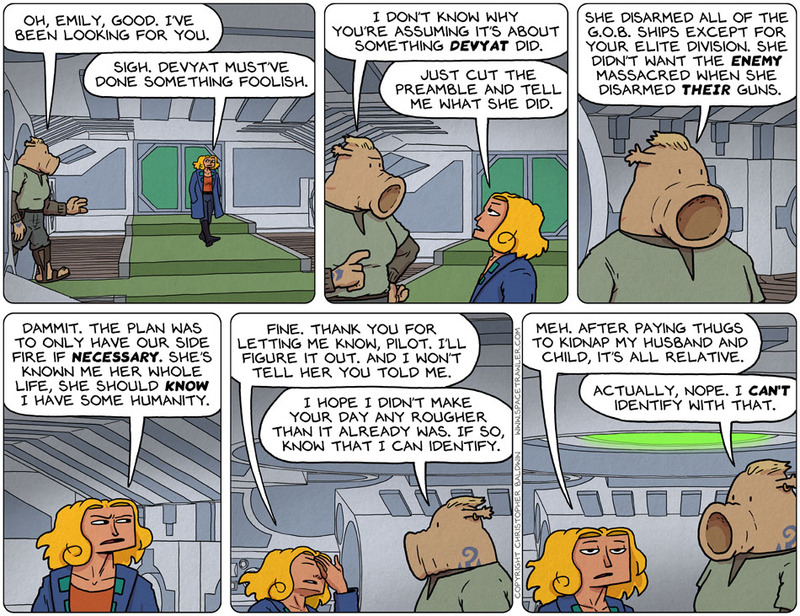 Doing it for their own good isn’t a great excuse when Devyat disabled the ships for your own good.